dyeScape has been busy and growing throughout this summer and we have some big plans for the rest of the season as well. 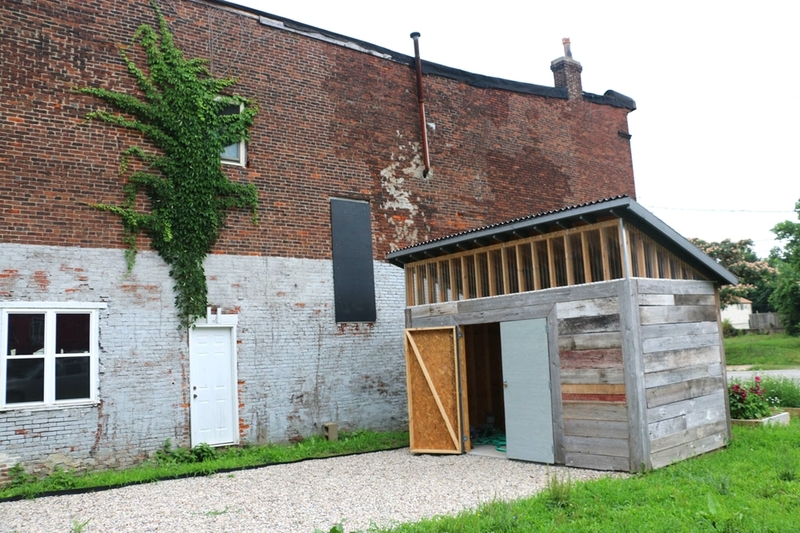 At our volunteer days and other trips to the Portland garden, we have been able to officially complete the shed, pick mulberries for dye testing, maintain plant beds, harvest flowers for dyeing, and have planted new dye plants that have already begun to grow. Various dye experiments have also been completed, which is giving our team a better idea of which techniques work better than others. Our website has also been revamped with a new design, layout, and updated information. Edging for the dye garden will be arriving this week and we are in the midst of ordering a dyeScape sign that will be displayed at the site. We are so happy to see our vision coming to life. Every day dyeScape is one step closer to accomplishing the goal of ending the exploitation of women across Louisville. Look out for more information on our next volunteer day and the announcement of our official launch date and party!